Many fallacies are associated with this man: he was the first to show the possibilities of grape growing in California, he was the first to introduce superior grape varietals into the state and he was the first to plant the Zinfandel vine (this last point is still unresolved). He’s even been wrongly dubbed the “father of California wine”. Agoston was born into a noble Hungarian family and left for the United States in 1840, arriving in New York and making his way along the Hudson River to the Erie Canal to the Great Lakes, eventually settling in Wisconsin. He was a busy man there; he built homes and mills, planted corn, grains and grapes, raised sheep, pigs and horses, owned and operated a steamboat, dug wine cellars (the current site of Wollersheim Winery) and became a legendary hunter, even killing a wolf with his bare hands. Intrigued by the gold rush, he captained a train of wagons along the Santa Fe trail, arriving in San Diego in 1849. Here he planted fruit orchards, operated a livery stable, opened a butcher shop, planted a vineyard, was elected the sheriff of San Diego County, served as a city marshal and in his role as a contractor, built a jail for the city. Agoston served for a few years on the California State Assembly and began to purchase land around San Francisco, planting European vines near Crystal Springs (now part of San Mateo County). During this time, he started a refinery and when the first U.S. Mint opened in San Francisco in 1854, Agoston was the first assayer. In 1857 he was charged with embezzlement ($151,550 in gold), but he was exonerated by 1861. While he was under investigation, he moved to Sonoma and started the Buena Vista Winery, eventually holding over 5,000 acres of land. In 1861, as part of the state commission on viticulture, Agoston traveled to Europe and sent back thousands of vine cuttings of over 350 varietals. 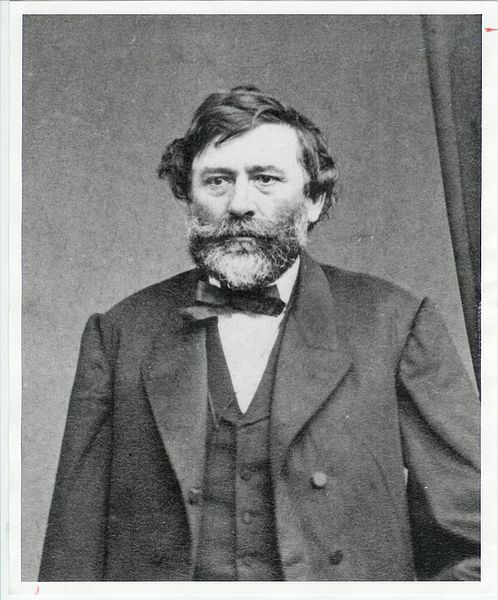 He wrote about his experiences on the trip and as a wine grower in California (Grape Culture, Wines and Wine-Making) in 1862. This book helped California gain recognition for its grape growing and is considered by some to be Agoston’s main claim to importance in America’s wine history. Things started to go downhill from there. Agoston had borrowed large sums of money to expand his vineyards and his vines became infested with phylloxera, putting a damper on production. Shareholders forced him out in 1867 and he declared bankruptcy. The next year he moved to Nicaragua and began developing a sugar plantation, with the idea of making rum and selling it to American markets. In July of 1869 he disappeared in a river on his property, never to be seen again. It was never established if his body washed out to sea or if he was devoured by an alligator. I heard you once killed a squirrel with your bare hands. I heard that his body turned up in Eldridge Lake in Elmira, NY. I bet she could kill a squirrel with her bare hands.